The fracking industry is having a bad week. In the third asssessment in as many days focused on the pollution created by the booming industry, a group of researchers said Wednesday that the controversial oil and gas drilling practice known as fracking likely produces public health risks and “elevated levels of toxic compounds in the environment” in nearly all stages of the process. The latest research, conducted by the Physicians Scientists & Engineers for Healthy Energy, compiled “the first systematic literature review” of peer-reviewed studies on the effects of fracking on public health and found the majority of research points to dangerous risks to public health, with many opportunities for toxic exposure. At certain concentrations or doses, more than 75% of the chemicals identified are known to negatively impact the skin, eyes, and other sensory organs, the respiratory system, the gastrointestinal system, and the liver; 52% have the potential to negatively affect the nervous system; and 37% of the chemicals are candidate endocrine disrupting chemicals. The group also warns that while numerous studies have proven the alarming and destructive nature of fracking, there is still not nearly enough research on the issue, particularly on the long-term effects of fracking on public health, such as future cancer rates. The review follows on the heels of two other reviews on the dangers of fracking released earlier this week. 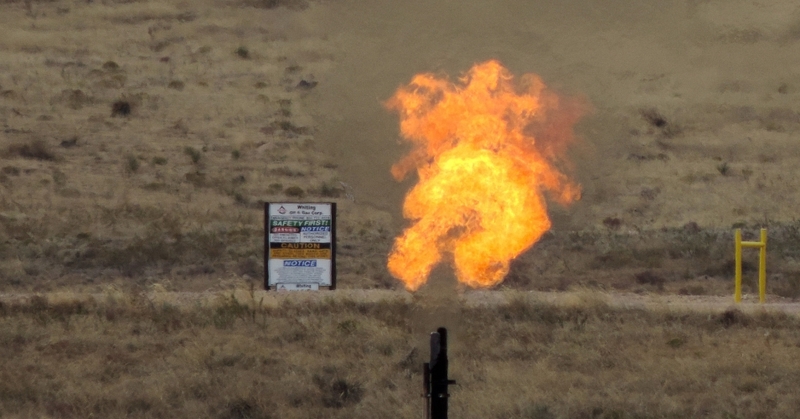 The first report, a scientific study released Monday, found that methane emissions from fracking could be up to 1000 times greater than what the EPA has estimated. Methane is up to 30 times more potent than carbon dioxide as a greenhouse gas. The second report, a review conducted by Bloomberg News on Wednesday, detailed how industrial waste from fracking sites is leaving a “legacy of radioactivity” and other toxic problems across the country and spawning a “surge” in illegal dumping at hundreds of sites in the U.S.